Do you love to swing as much as we do? Now you can with the new addition of the SWING RIDE to Amusement Master’s inventory! With an appeal to all ages the Swing Ride ride is something different that can supercharge your next outdoor event. It’s super fun that seats up to 20 event guests per ride. Mounted on a trailer, it holds all ages from 40lbs – 200lbs. This attraction is great entertainment for corporate parties, school carnivals, fundraisers, community festivals, and backyard birthday parties. 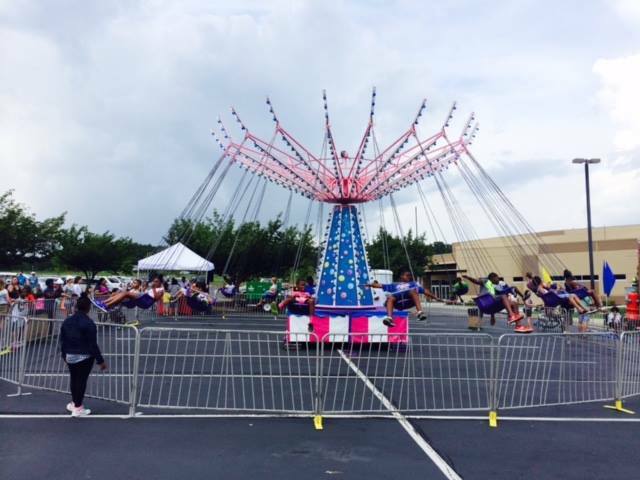 If you want to know more about the fun and colorful Swing Ride that’s available for events across the United States let us know! And to consider other amusement rides and games for your events take a look at our website inventory at Amusement Masters!